Service managers are the employees of a business who are mainly immersed in the service industry or other fields where client retention and customer satisfaction is very important. 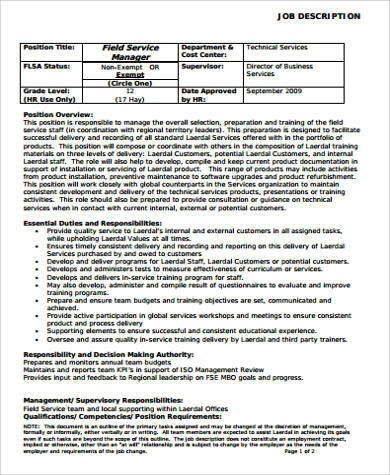 There are different kinds of service manager job positions that vary on the field or industry where the individual is employed and the managerial jobs and responsibilities that the person holding the position is tasked to do. 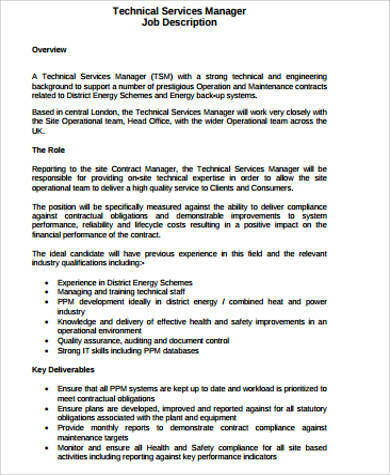 We can provide you with different samples of service manager job descriptions based on the industries where these people practice their expertise and professional competencies. 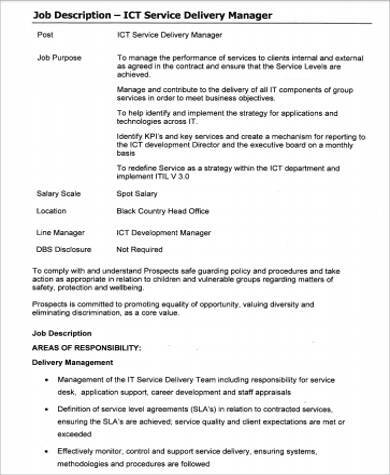 More so, we also have other downloadable Job Description Samples in the link provided. 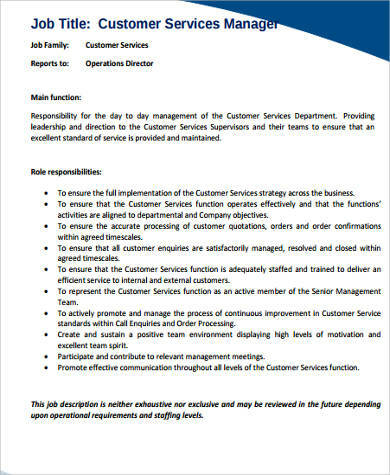 A customer service manager is primarily the person involved in the daily management of the customer service department of a business. S/he needs to provide leadership and assure that the customer service representatives and other personnel are guided with the proper methods of customer service. Assure that there is an excellent standard in terms of fulfilling the needs and requests of the customers of the business. Assure that the customer service team are aware of their job functions and that they can maintain a professional way of serving guests no matter what circumstances. Create measures in implementing customer service strategies used in various business processes. 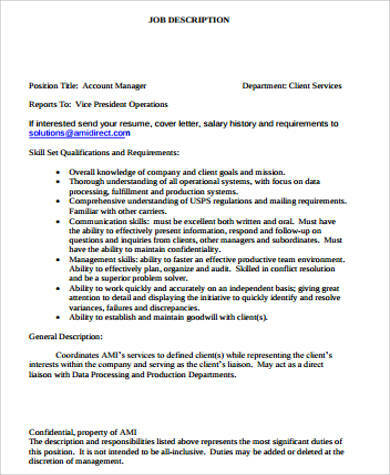 For more Customer Service Manager Job Description Samples, kindly visit the specified link. 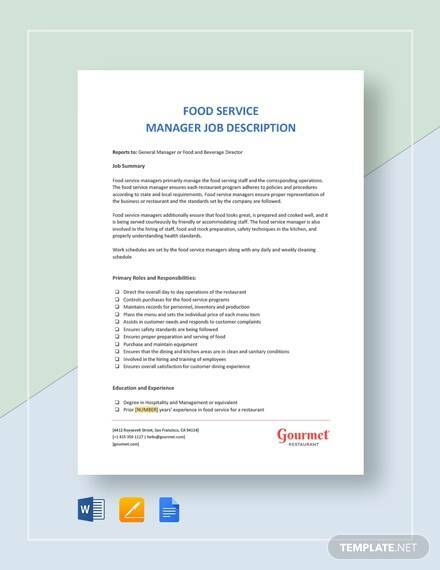 A food service manager is tasked to determine the needs of the food establishments in terms of its operations, nature of processes, the systems used in daily workflow, and workforce management. 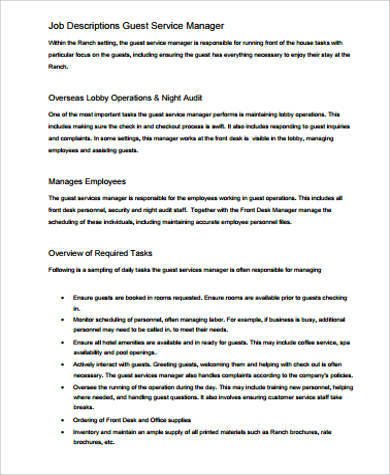 Supervise the team of a business that is assigned in the kitchen. Assure that all the preparations of menu, ingredients, and food items pass the standards of quality implemented by the business. Assure that all the health and sanitation practices are implemented in the kitchen on a daily basis. 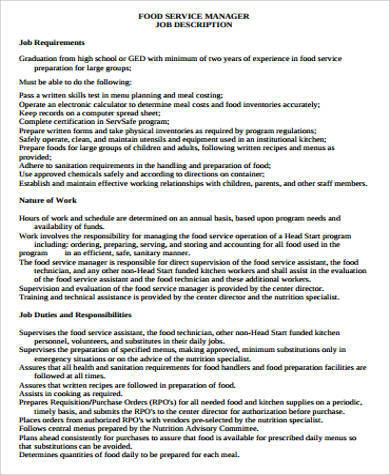 Develop training programs that are essential in making sure that all kitchen staff are aware of other job functions and responsibilities. 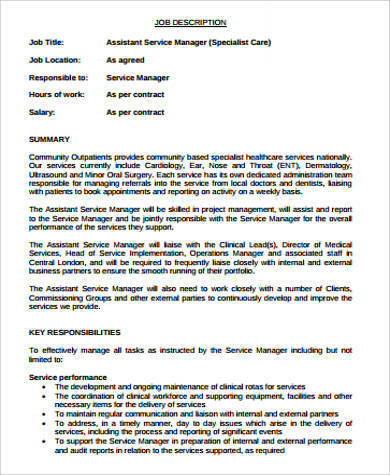 Service Delivery Managers are tasked to assure that all service deliveries that are intended for the clients are properly managed. 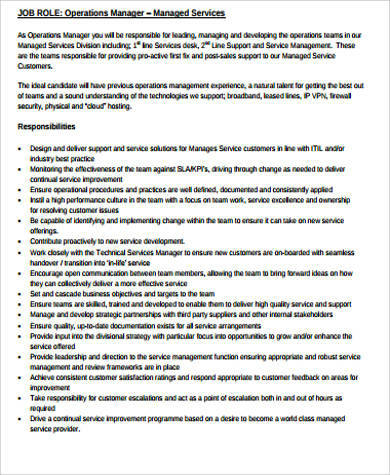 A Service Desk Manager is tasked to deal with the questions and inquiries of the clients of the business. 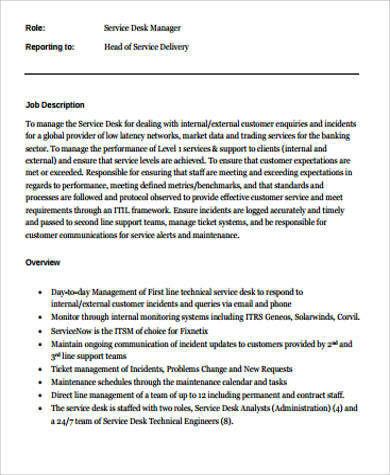 S/he is also required to maintain the smooth flow of operations in the service desk. 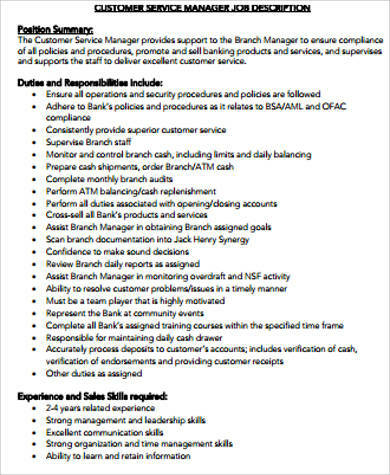 Bank Service Managers are tasked to provide support to the bank branch manager. One of the main functions of a bank service manager is to assure that the specific bank where s/he works complies will all legal procedures and policies for operations. 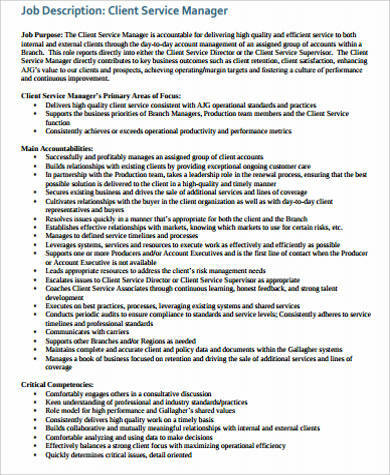 Client Service Managers are hired by a business to assure that there is an employee who will oversee all the processes that allow the business to get more clients and for their loyal customers to trust them even more. 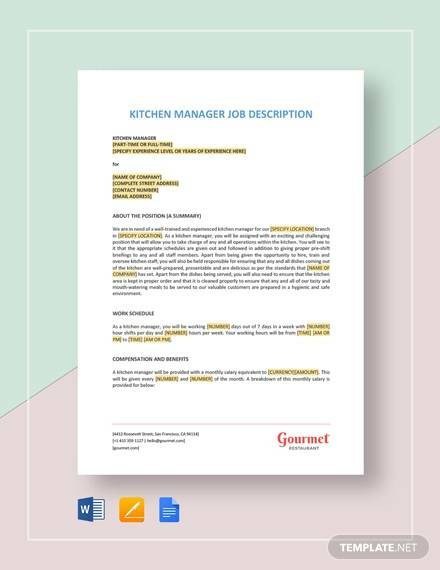 Aside form our service manager job description templates, our templates of Team Leader Job Description Samples are also available for download.